Girl Up North: What's your Throwback dress? I think we've all got that one fail-safe 'Throwback Dress' in our wardrobe, the one we know we can wear no matter what and no matter how old it gets we just can't bare to throw it away. Mine has to be a black swing dress from Matalan, cheap and cheerful at only £12 but it could be worn for so many occasions; whether it's work or play this black swing dress is going to be in my wardrobe for years to come. What I love most about it is that it's smart and sophisticated but it's so comfy so say for example I've been out for a big meal I don't feel like I have to hide my food baby because it just skims all my bumpy bits... I guess it's my perfect little black dress. I honestly never thought I'd post a full length photo of me on my blog... let alone with a dress on and without tights but I couldn't not show this dress of properly because I absolutely love it! The jersey material makes it fit perfectly; hugging my waist and skimming my hips and the print is just gorgeous; I don't think I could have got anymore summery if I tried! I think this is going to be a staple summer dress in my wardrobe for many summer seasons to come because it's just so wearable; I'm around 5ft 5 and as you can see it falls only just above the knee which for me is the perfect length (protecting my modesty but showing just a bit of leg). I was so unsure of summer dresses because it's been years since I've worn a design like this but I honestly can't wait for the weather to be warm enough for me to get this one out with a pair of strappy sandals and some sunglasses! Floral prints have been in for many summer seasons and I can't see them disappearing any time soon so hopefully this £14.99 little beauty will prove to be an affordable long term resident in my wardrobe! The current collection of New Look dresses on the website is full of floral prints and pretty pastels so no doubt I'll be stocking up for my holiday! 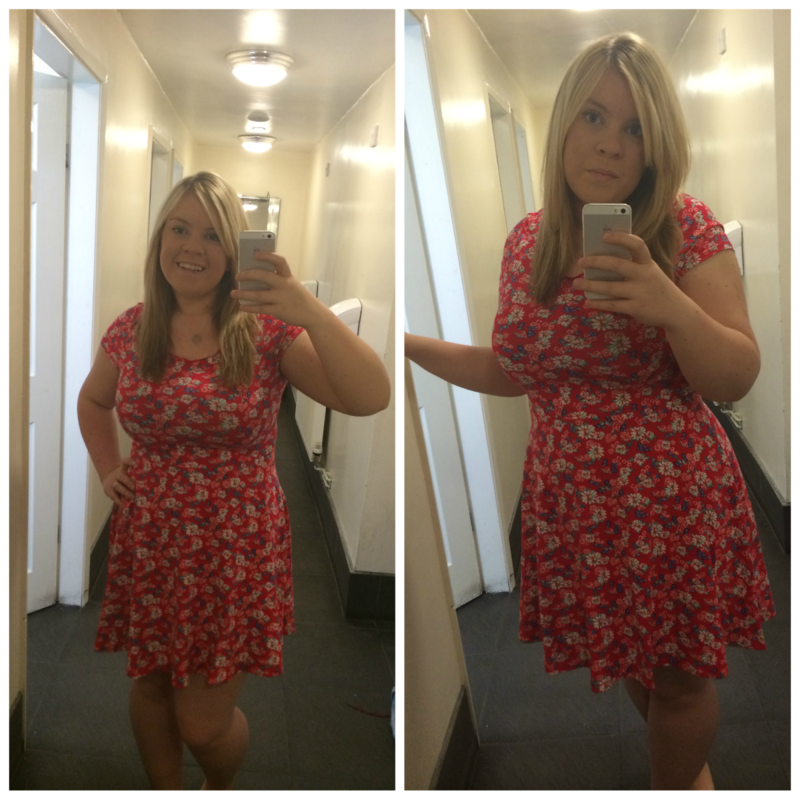 Do you have a 'Throwback Dress' in your wardrobe that you couldn't bare to part with? Love both dresses, you are looking really well Jade.